During a one week course on fashion & technology we created a prototype for a novel form of connectivity. Mobile phones are becoming more and more intangible. If you enter your new car for example, chances are that the vehicle takes over replaces microphone and speakers of your mobile. 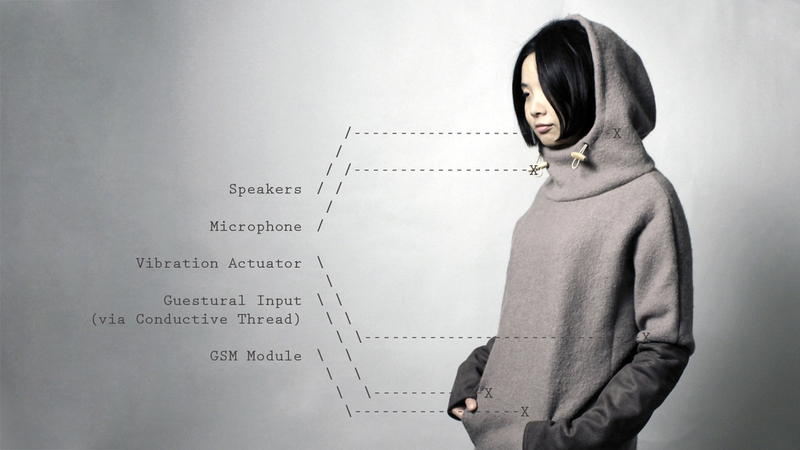 We asked ourselves, what if one could use clothing as mobile phones. 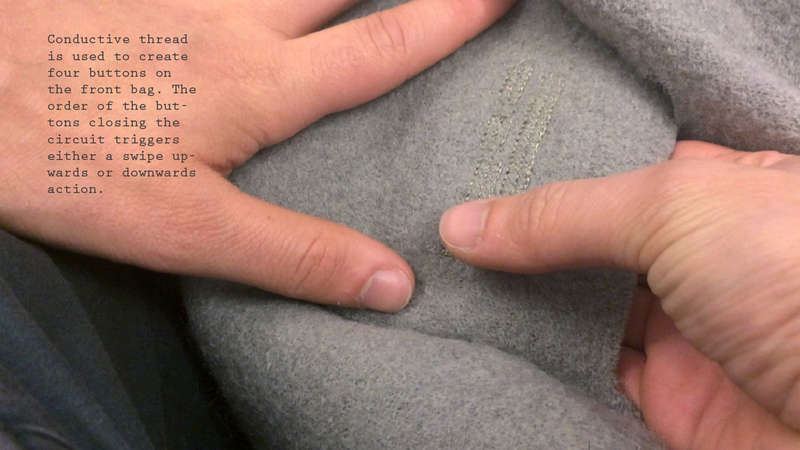 We iterated over the design of the hoodie and hid all the electronics on the inside, giving the viewer the impression of a real product when the hoodie is being called. The following prototypes are part of my Master's thesis at the Umeå Institute of Design. The final outcome of the project can be found here. HOW CAN WE REMOTELY COMMUNICATE IN 3D SPACE? How can the frame adjust automatically to create a field? How would the field sound like? Bonfire is a playful concept for an interactive installation. A shared music experience is created by using the metaphor of a warming fireplace. The working prototype is developed for "Guitars – The Museum". 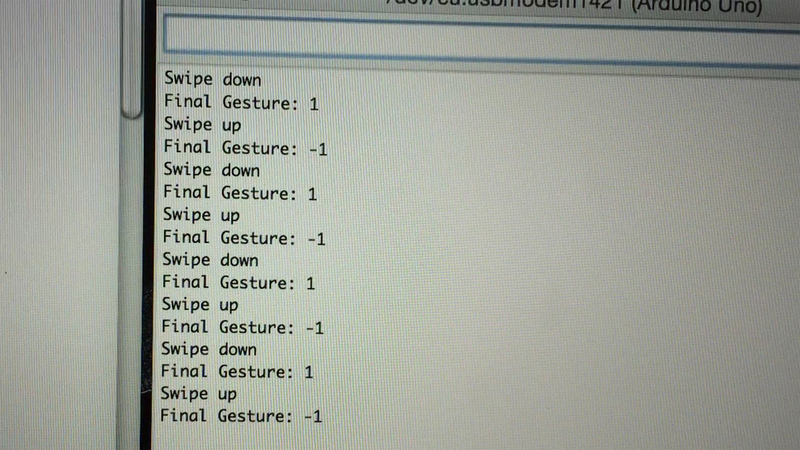 Exploration of sound generation and sound parametrization using PURE DATA and Arduino. The engine sound was designed for the concept car Gina by BMW.